There are many doorways into the deeper part of ourselves. The use of the breath presented itself to me or I was guided to it. That was followed within a short time by a life-impacting heart opening. Does that pique my interest? You bet it does. Therefore I’ve been looking into the use of the breath as an easy and accessible spiritual practice. Let’s take a look at what our sources have been telling us regarding the use and importance of the breath. Blossom Goodchild’s Galactic Federation sources have given us a wonderful and rousing description of the feel and reach of our breath.. Let me quote from them at some length. “So, as together now, we take in the Breath of life … The Breath of the Deepest Purest LOVE that connects us all … And we hold it within our Being … FEELING it circulate … FEELING the Power of that LOVE … within every cell … And then we let it out. In another message, they assert that following the breath is the way to still the mind. 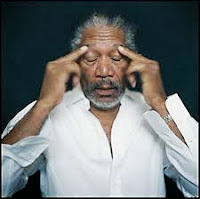 “The hubbub of the mind is under YOUR control. “This is understood by many … yet not so easily achieved. They follow this with tantalizingly mystical allusions, which cannot but invite the seeker. “This gift that was ‘installed’ within your BEING … this gift of ‘travel’ without moving … is one of the most precious treasures that the human Being was equipped with. Yet, it is one that is very much underestimated and pushed onto the back burner. Yet, we say to you … open this gift and see for yourselves, the jewels that lie within. No, I don’t know precisely what they’re talking about but it resonates. Not only does following the breath help us find ourselves, but it leads us to knowledge of the unity of all, they say. “Not only do you find yourself … you find one another for Each One … Each One of you IS the other. “YOU ARE ONE ENERGY OF LOVE … creating a world through thought … to experience LOVE in all its forms. Jesus has often spoken of the importance of the breath. In Pondicherry there’s a sign dedicated to “Matsya, the Fish Prophet” (8) recording that he preached breathing there to shallow-breathers. Here he stresses the importance of deep breathing. ‘With the deep breath you can come to the feeling of the current of living energy. That is why I say unto you to take the deep breath, because when you take that deep breath, you allow yourself for a millisecond to touch the current that is underlying everything. The master Hilarion called it “heart breath,” by means of which we bless all around us. Hearing what they have to say makes St. Germain through Natalie Glasson more understandable, when he asks us just to breathe in the energies and let them work their miracles. “Ask us to pour our energy into your being to support the transfiguration of your molecular structure and the Earth’s molecular structure so that all energetic ingrained habits especially connected to the third dimension are erased and more light is able to channel and manifest within your being. Something so simple as the breath produces considerable value in the spiritual process we’re all engaged in. If we’re looking for simple practices that busy people can engage in, following and using the breath is one of the most productive, from so many angles. Tomorrow I’d like to focus in on Archangel Michael’s discussions of the Infinity Breath or Breath of Life and the spiritual basis to reliance on the breath as a spiritual practice. 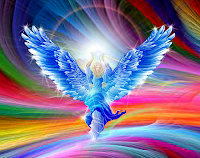 (1) The Federation of Light: October 29, 2015, channeled by Blossom Goodchild at http://www.blossomgoodchild.com/index.html?page=BG259oct29.html. (2) The Federation of Light as channeled by Blossom Goodchild, February 21, 2014, at http://www.blossomgoodchild.com/index.html?page=BG205feb21.html..
(3) The Federation of Light: October 29, 2015, ibid. (5) “Mother Mary: Transitions of the Emotional Body,” channeled by Natalie Glasson, December 16, 2013 at http://omna.org. (7) “The Arcturians and Symptoms of Transformation,” channeled by Suzanne Lie, February 26, 2013, at http://suzanneliephd.blogspot.co.uk/. (8) I confirmed with Jesus that he was Matsya. The Fish Prophet may be a reference to the fact that the sign of Jesus was the fish. In Greek fish is rendered “ichthus,” which is used to indicate Iacchus CHristos THeou Uios Soter, or Jesus Christ, Son of God, Savior. (9) “Jeshua: The Basic Law of the Universe, as channeled by Judith Coates, September 2013, at http://www.oakbridge.org. 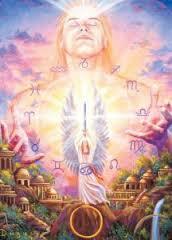 (10) Hilarion, October 13, 2013, at http://www.therainbowscribe.com/hilarionsweeklymessage.htm. 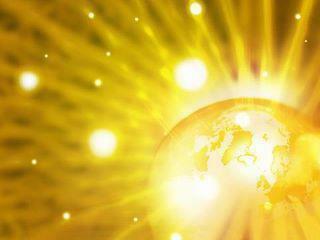 (11) “Saint Germain: Essential Guidance,” channeled by Natalie Glasson, September 19, 2013, at http://omna.org. (12) CMore valuable to me than what I learned in Zen, Vipassana, encounter, enlightenment intensives. But similar to rebirthing, which seems to use the breath in the same manner as the Infinity or Accordion Breath. I’d like to focus in now on Archangel Michael’s discussion of the “Sacred Breath” and “Infinity Breath,” which he’s been having with us through Ronna Herman for some years now. Let’s begin by listening to him on the nature of the breath itself. The breath conducts the vital energy, which can be nothing else but love. The breath, he says, is vital to our transformation process, which I can certainly validate from my own experience. “You must learn to use and perfect the perfect rhythm of Sacred Breathing. The Infinity Breath is a vital component of the transformation process. On one occasion, he recommended that we breathe in light and breathe out love. In the course of it, he reveals how the breath is the conductor of the vital life force energies. “Have you wondered why, several years ago, we instructed you to “Breathe in Light and breathe out Love,” when you go into the World Pyramid with the intention of radiating Love/Light to humanity and the world? “We cannot emphasize enough how important the breath is in reclaiming your Divine nature. Not the shallow breathing that the majority of people on Earth have accepted as the proper way to breathe. This type of ineffective breathing has resulted in many debilitating symptoms and dis-eases as well as limiting your intake of Divine Essence, which is critical to your well being and the reclamation of your vessel of Light. We have explained and emphasized the Infinity Breath, the Accordion Breath and how important is the practice of breathing with intention. 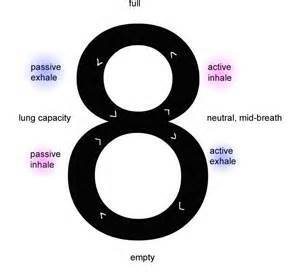 “The Infinity Breath could be called the Ascension Breath, for it aligns your Galactic chakras with your physical vessel, and opens the return passageways to the higher dimensions via the Binary Sequencing Technique. It speeds up the process of building your ascending vehicle of Light called the MerKiVah. 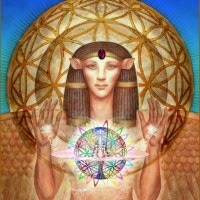 It also facilitates the opening of the portal to your Sacred Mind and the front and back portals to your Sacred Heart. “The Inbreath loop of the Infinity Breath passes through the Medulla Oblongata and out the back of the head as it sweeps upward into your Soul Star [eighth chakra]. The Adamantine Particles of Creator Light that you have inhaled through the back portal of your Sacred Heart are programmed to integrate a specific number of Life-Code Seed Atoms from your OverSoul-Higher Self as the Sacred Breath passes through your Soul Star. 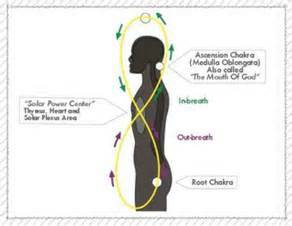 “The Outbreath or exhale passes through the Root Chakra and enters the Kundalini Seed Atom contained therein. Monitored by your OverSoul-Higher Self, measured portions of the Adamantine Particles stored within the Root Chakra are added to the Sacred Breath. The Adamantine Particles of Light which are stored in the Root Chakra are unique, for they have already been programmed with some of your special talents, attributes and qualities from past life experiences. “The Sacred Breath then moves back up in front of the physical vessel and automatically enters the body where your crystalline Still Point Seed Atom is located. This Seed Atom was designed to magnetize, integrate and hold these higher frequency Particles of Light. It could be called a holding center, for it is directly connected to your Sacred Heart. When the Breath of Life is restricted, he tells us, we’re reduced to a starvation diet of Light nutrients. AAM’s discussions are the most detailed “anatomically” and the first I’d read that confirms that the soul lives in the heart; specifically in the Vesica Piscis. “As you develop the ability to breathe in the Sacred Breath deeply and effortlessly, your awareness will gradually descend into your Sacred Heart Center, and then even deeper into the Vesica Piscis Mandala which contains the White Fire, Sacred Seed Atom–your own personal Divine Facet of our Father/Mother God. On another occasion, he tells us how we can know we’re making inroads in this practice. Again he advises us to breathe up love from the heart and send it out into the world. “Consciousness within is a constant state of JOY and an overwhelming feeling of LOVE. This high frequency radiation from your Sacred Heart Core, via your Solar Power Center, will affect everyone and everything around you. The bliss for us arises as a result of the love flowing through us, out to the world. Apparently a certain amount of love can be held statically but the remainder, to be experienced, has to be allowed to flow and the most fruitful place for it to flow is to others. Since I began reporting Ascension back in 2009, I’ve been looking for easy spiritual practices that writers and readers can use to further their enlightenment. Emergence was one such “easy” pathway. The path of awareness is the simplest thing in the world. Likewise a knowledgeable use of the breath can be practiced everywhere, It’s portable and eminently simple. And the returns in love that it brings make it a continuous gift without value. 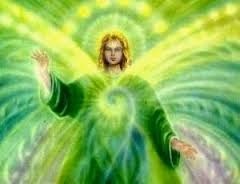 (1) “Archangel Michael: Perfecting your Skills as a Co-Creator,” channelled through Ronna Herman, July 29, 2013, at http://www.ronnastar.com/messages-aam/. (2) “Archangel Michael: Downloading Your New Divine Blueprint,” channelled by Ronna Herman, November 1, 2014, at http://www.ronnastar.com/messages-aam/. (3) “THE SEARCHLIGHT OF THE SOUL: YOUR TWELVE RAY CREATOR WHEEL,” transmitted by Ronna Herman, LM-11 2015, at http://www.ronnastar.com/messages-aam/. (5) “Archangel Michael – Traversing the Upward Passageway into the Future, through Ronna Herman, April 1, 2013,” at http://www.ronnastar.com/messages-aam/. Specific discussions of the Infinity Breath can be found by googling the term and adding “Archangel Michael.” Here are some: “Binary Sequencing Exercise with Infinity Breath: Archangel Michael through Ronna Herman” at http://www.edsia.net/meditations-content/infinity-breath-with-binary.html; “Archangel Michael ~ The Spirit and The Soul and a New Pyramid of Light Meditation. – Through Ronna Herman” at https://archangelsanddevas.wordpress.com/tag/infinity-breath-meditation/; and “MESSAGES FROM ARCHANGEL MICHAEL * LM-9-2008, TRANSMITTED THROUGH RONNA HERMAN, SOUL BREATHING * THE BREATH OF LIFE” at http://www.lightgatherings.com/AAMichael_SoulBreathing.html. (6) “Archangel Michael – ‘Hold Steady, Beloveds,'” transmitted through Ronna Herman, Feb. 28, 2013, at http://www.ronnastar.com/messages-aam/messages-aam/667-aam-03-2013.html http://www.ronnastar.com/messages-aam/messages-aam/667-aam-03-2013.html. (7) MESSAGES FROM ARCHANGEL MICHAEL * LM-9-2008, ibid. (8) “Archangel Michael – ‘Hold Steady, Beloveds,'” ibid.